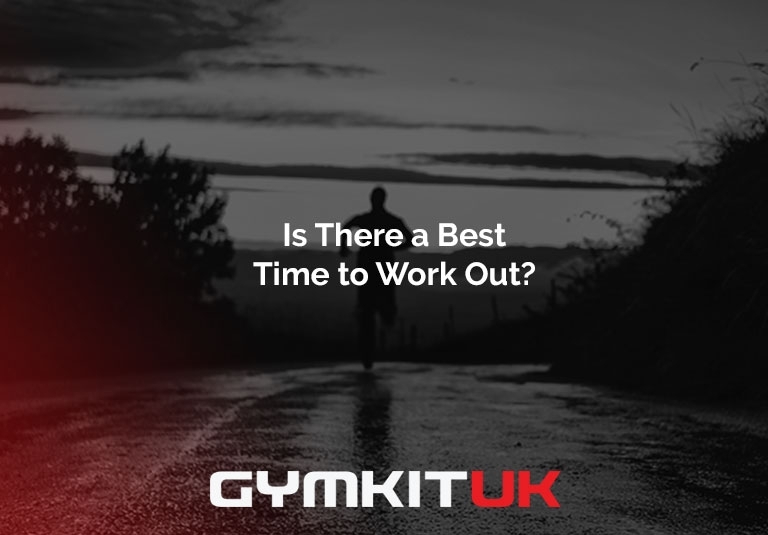 Gymkit UK News Blog - Is There a Best Time to Workout? Is There a Best Time to Workout? We just want to say straight off the bat that we are no experts when it comes to the science of exercise. It has caught our eyes recently though the number of people talking about when our bodies prefer to workout so we’ve done some digging. Whether it Pilates before sunrise or 5K on the treadmill in the midnight hours, we all have prefered times that fit in around our busy schedules to workout. For ease of this article we’ve explored 3 times for potential workouts, morning, lunchtime & evening. Hit the day from the off. Many believe leaving a workout beyond the morning is instantly building up time to form excuses not to workout at all. Consistently building a workout into your morning means the opportunity to wake up & progress you fitness before the day drains your energy. If you attend a gym it's likely to be quieter at these times. Not wanting to commute out of your way? Investing in equipment like a refurbished treadmill can be an ideal way to avoid demotivation from having to leave the house early for this fix. A folding treadmill will overcome space issues! Working out in the morning boosts those good chemicals in your body too. You’ll feel more alert entering the day, your circulation will be improved and your brain function can even heighten.Trust us, once it's in your routine, morning workouts will be there to stay. Some jobs just don't leave room for workouts outside of the 9-5. Life has other demands whether it's family, friends or some you time. Many experiment with Pilates or yoga sessions on their lunch. It's a great escape from the stress of the day. Why not club together with some colleges to find a local lunchtime class or start your own. Worst case scenario - a quick walk and some fresh air can help combat the consequences of not exercising at all. Some companies will even invest in the facility for employees to workout (lunch time or anytime). BGL Group in Peterborough is a great example of a company providing this perk to employees. Anyone who's visited a gym in the evening will be aware that this can be peak time. Classes fill up & your favourite piece of equipment has been in use non-stop for the last hour. Evening is a popular time to work out. This social aspect is great for many as it means a new set of faces in your daily routine & the chance to improve your networking skills. Just don't leave it too late or you’ll disturb a good night's sleep with a cardio stimulated buzz. *Working out later can affect individuals differently, so if a quick sprint on your refurbished treadmill in the garage before bed makes for a perfect night sleep, you keep doing you! When you workout is likely dependant on your schedule, family, friends, work etc. but the main thing is you’re getting active as there is always a benefit to be had.